Pucker up! 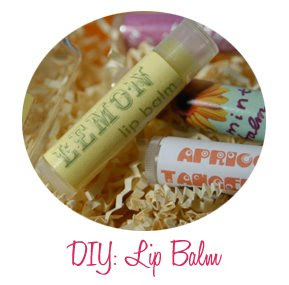 With personalized flavors and labels, homemade lip balm will give you plenty of reason to smile. From the Emmy Nominated episode of Creative Juice - "Take a Break Basket"
1. Use a double boiler on low heat (or a medium size glass bowl placed in a saucepan partially-filled with boiling water) to melt the beeswax. When melted, add the oil. Use caution, wax is a highly flammable substance. 2. Remove mixture from heat and whisk in honey and vitamin E oil (pierce capsule with a pin or scissor tip), whisking until there are no clumps. Optional: add a shaving or two of lipstick to create a sheer lip color. 3. Let mixture cool, but not harden, before adding approximately five drops of either an essential oil or cake flavor of choice. When using oils, use only essential oils -- lip balms are in constant contact with your mouth and fragrance oils do not taste good and should not be consumed. 4. Pipe into containers (available on-line from thesage.com ) and refrain from moving until hardened. 5. Make paper labels and apply to the tubes with packing tape (packing tape is the same width as lip balm tubes). Break the mold with countless combinations of scents, colors and additives that give handmade glycerin soaps a unique personal style. From the Emmy Nominated episode of Creative Juice - "Take a Break Basket"
1. Cut a 1 lb. brick of glycerin soap base into 2" cubes. Place cubes in a glass bowl and cover with plastic cling wrap to keep excess moisture from evaporating. Melt on high for one minute and stir until melted. 2. 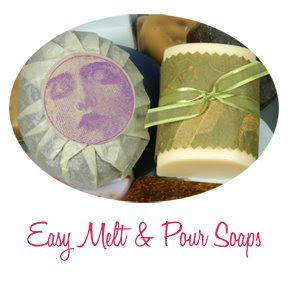 If desired, add a few drops of colorant and/or additives to the soap and blend thoroughly. Add several drops of essential oil to the mixture and blend. 3. Pour the soap into molds. Spray the soap surface with rubbing alcohol to remove excess bubbles. Allow the soap to harden/set for several hours before popping it out of the molds. 4. Package the soap in a paper sleeve trimmed with decorative scissors, place it in a cellophane bag or wrap it in tissue paper. Embellish paper labels with ribbons, stickers and rubber stamps and attach to the packaging. When things get rough, fight back with granular body scrubs! 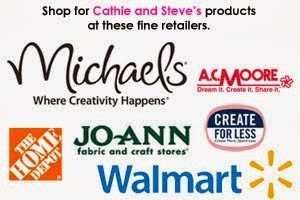 Let them do the dirty work for you! From the Emmy Nominated episode of Creative Juice - "Take a Break Basket"
1. Mix together sugar, oils and honey with fragrance or essential oils. 2. Spoon the mixture into containers, seal and label with a sticker or pre-made label printed on sticky paper. 3. Insert the jar through the shrink band sleeve. Apply heat with an embossing or heat gun. The band will shrink and wrap around the jar, sealing it closed. This recipe makes approximately four 4-oz. containers. 1. Mix together coarse sea salt, oils and honey with fragrance or essential oils. I just watched this episode. It's my favorite one! Love your show, it's not on enough. Last year leading up to the holidays they had a lot more crafting shows on DIY, I was so bummed they didn't do that this year too. I'm so happy to find a place where you guys are. I agree with another commentor that we want to see more creative crafts ! I love your show and only wish you were on more often. 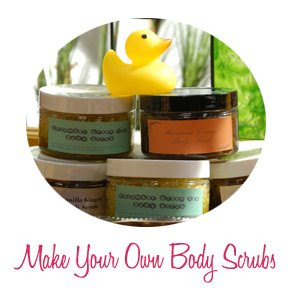 I want to make the body scrubs but am wondering if they have to be refrigerated and/or how long they last. If there are any other special instructions please let me know. I am so excited about trying out all these things but I don't want to make anyone sick.